Dr. David Dykes grew up in Birmingham, Alabama. He decided in eighth grade, after listening to a Veterinarian during career day, that he would enjoy being a Veterinarian. He never wavered from his course and he graduated from Auburn University's College of Veterinary Medicine in May of 1982. After graduation, he practiced Veterinary Medicine in Tuscaloosa, Alabama for approximately a year and a half. At that time he moved to Foley, Alabama and has been practicing Veterinary Medicine in this are for over 31 years. Dr. Dykes has a special interest in orthopedic surgery and ophthalmology. His compassion and care for his patients is evident. Away from work he enjoys spending time with his wife, their son, daughter-in-law, granddaughter and two grandsons. Together he and his wife share their lives with 3 dogs, 3 cats, 6 birds and 1 horse. Dr. Dykes also enjoys fishing, gardening, bicycling, kayaking, paddle boarding and being outdoors. Dr. Christopher Schreiber grew up in Nashville, Tennessee. He decided to be a Veterinarian at the age of five while visiting his uncle and getting to "assist". He graduated in 2008 from Auburn University College of Veterinary Medicine and immediately went to Oklahoma State for an internship in theriogenology (animal reproduction). He joined an animal clinic in Stillwater, Oklahoma and practiced there from 2009 to 2012. 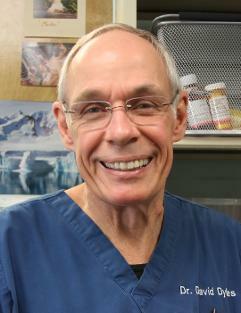 In May of 2012 he joined the staff of Dykes Veterinary Clinic. He has a special interest in internal medicine and orthopedic surgery. He is married and he and his wife have a beautiful daughter. They also share their home with 4 cats and 1 dog. Away from work he enjoys boating, photography, hiking, bicycling and being outdoors. Dr. Brent Walker grew up in Elberta, Alabama. He lived next door to his grandparents who owned a farm. While observing Veterinarians who came to work on the animals, he decided he wanted to be a Veterinarian. 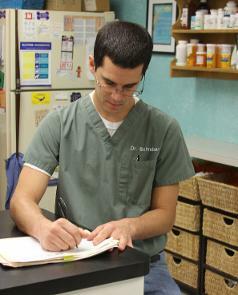 He completed his clinical year of Veterinary Medicine at Oklahoma State in 2009. He then graduated from St. Matthews College of Veterinary Medicine in Grand Cayman in 2009. At the present time, Dr. Walker resides in Foley. Away from work he enjoys boating, scuba diving, other water sports and Auburn football. Dr. Walker is thrilled to be back in his hometown serving his community and working with someone he has always admired. Dr. Long grew up in Dothan, Alabama. She graduated from Auburn University with her Doctor of Veterinay Medicine degree in 2012. Dr. Long joined a busy veterinary practice in Birmingham, Alabama. She worked there until joining us in June of 2017. Dr. Long has a strong interest in Oncology and soft tissue surgery. 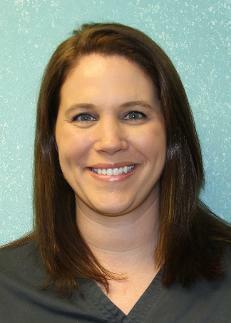 Dr. Long, her husband, 4 dogs and 1 cat live in Gulf Shores.Dr. Long loves spending time with her husband and pets, the beach, water activities and Auburn football. Some of the friendly faces of those who will assist you when you arrive for your appointments. L-R: Melissa, Shelby, Debbie, Meagan, Sarah.